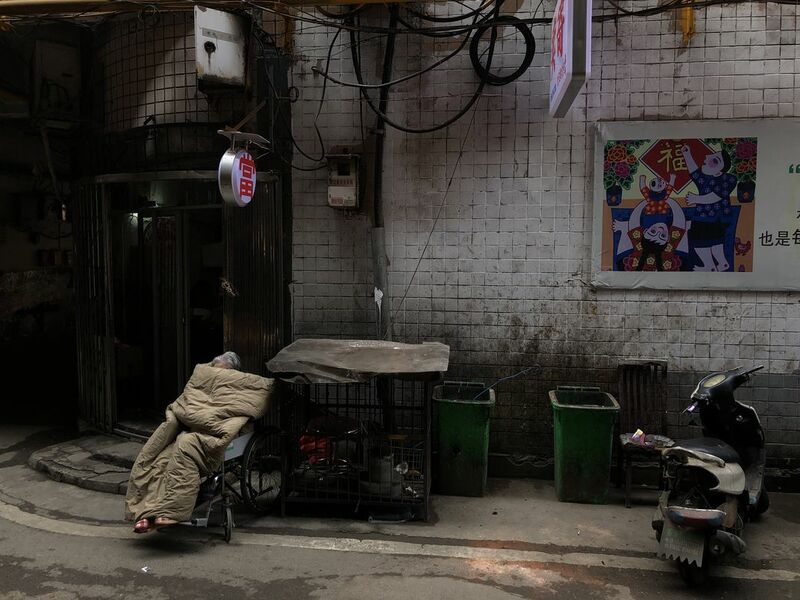 In the alternating warmth and coldness of early spring in March,an old grandma was taking a nap, in the equally old alley. Brightly colored on the wall, are the light box signs saying ″ pawnshop″⁣,and the poster----To celebrate the Chinese New Year, a family were hanging up a character ″⁣ Fu″⁣, which represents for wishes of family getting together and living happy life. Date Uploaded: April 27, 2018, 7:14 p.m.